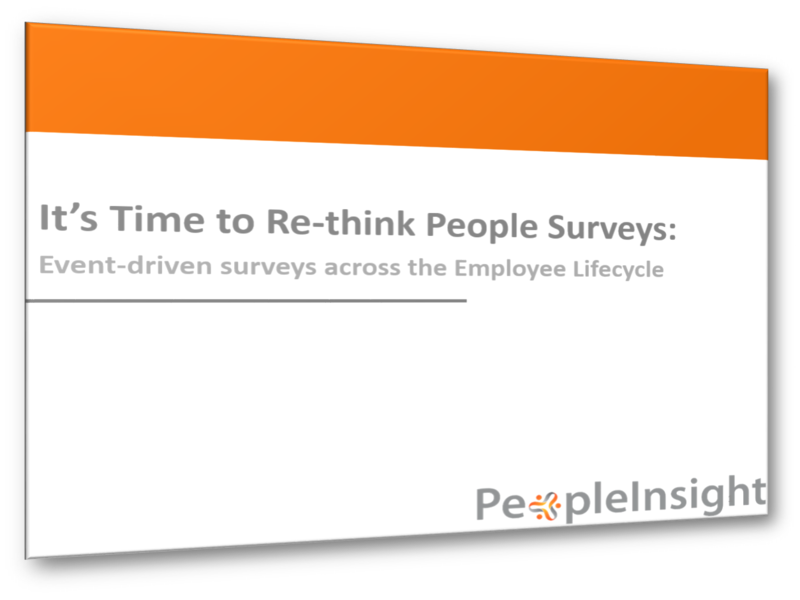 Employee surveys have always played a role in HR. Typically, they involve a lot of time and a lot of work – they are big projects that happen once a year or once every two years. In most cases, because of their size and complexity, analysis takes a long time and we are left with a static, moment-in-time view of what was going on in the organization at the time of the survey. This leaves HR in the position of reacting to what was, rather than responding to what is and planning for what will be. We’ll advocate for an event-driven approach to surveys that can yield powerful, ongoing insight into the employee experience. This means, conducting smaller, targeted surveys at significant moments in time with particular segments of the employee population. This means gathering feedback and data on an ongoing basis and feeding this into decisions and actions in real-time. We’ll explore the value that this approach can deliver to HR, the employees and the organization as a whole.